Give permissions to other users to manage your projects. 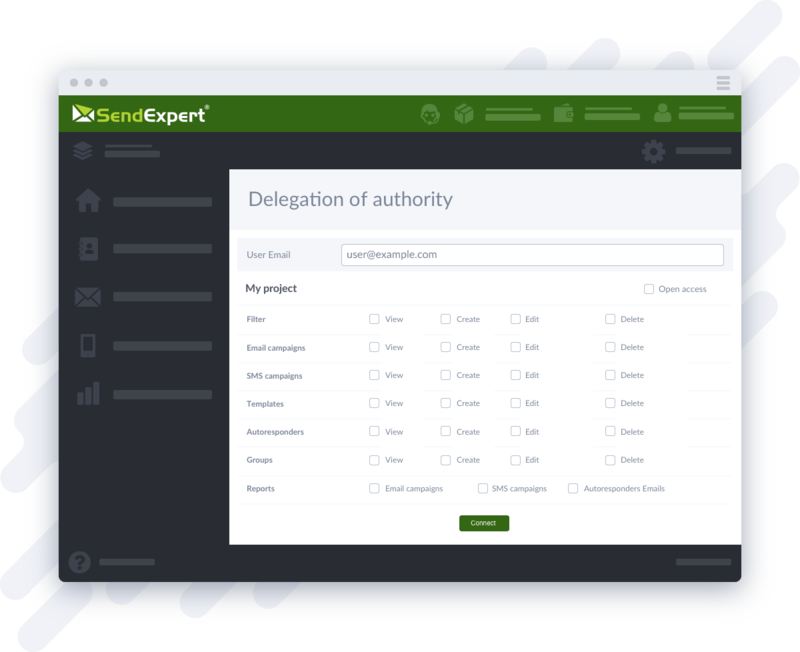 Set up your own account with limited access rights to delegated projects and make it easy to work with emails and mobile marketing in your company. Promote your business with all the capabilities of the SendExpert system! © 2013-2019 SendExpert. All rights reserved.